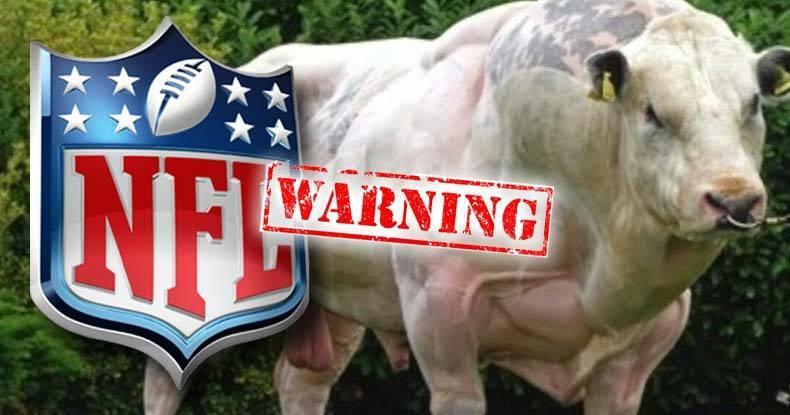 Five months after Congress voted to remove mandatory country of origin labeling from pork and beef, the NFL is now warning players that meat produced in Mexico and China may contain clenbuterol, a substance banned by the league as a performance enhancing drug. Clenbuterol is a muscle-building and weight-loss stimulant. Under normal circumstances, the policy would seem like common sense, but since the repeal of mandatory country of origin of meat labeling, Americans now have no way of identifying where their meat was produced. Much of the meat Americans are eating now, could very well be from Mexico and China. Now some NFL players, including the Arizona Cardinals Patrick Peterson, have taken to social media to express their feelings after receiving the memo. Texans left tackle Duane Brown tested positive for clenbuterol last season after a bye-week trip to Mexico, during which he ate Mexican beef, sources told ESPN. Mexican cattle ranchers are banned from using clenbuterol as a growth enhancer, but reports suggest that it is still used widely. So why aren’t Americans allowed to know where the meat they buy is produced? The labeling law repeal, along with other controversial legislation such as CISA, was included in the omnibus spending bill that Congress passed in December 2015, in an effort to avert a government shutdown. U.S. legislators claimed to have had little choice but to lift the labeling requirements after the World Trade Organization’s continual rulings against the U.S. labels. The labels were challenged by Canada and Mexico in the WTO, with the organization authorizing those countries to begin fining the U.S. over $1 billion in economic sanctions. The lawmakers’ explanation, as to their reasoning for getting rid of the labels, lends direct support to the argument that U.S. sovereignty is subject to its membership in certain international organizations. If a transnational trade organization has the ability to dictate U.S. law to those that are tasked with representing the people of a nation, then sovereignty is most certainly an extremely fluid concept the deeper a nation ventures into the land of supranational organizations. The insertion of legislation, that would otherwise never be codified into law, into a spending bill that most in Congress see as integral to pass, speaks to the nefarious nature of “representative” democracy as practiced in the U.S. It also highlights the ability to subvert the very foundations we are told the nation was built upon, by those intent on substituting their will for that of the people they allegedly represent. The idea that NFL players are responsible for ingesting a performance-enhancing drug that is found in Mexican & Chinese produced beef, while the U.S. doesn’t allow you to know where the meat was produced speaks to the insanity of the system as a whole. In essence, you have no right to know what is in your food – but you will be held responsible for what is in it after it is ingested.